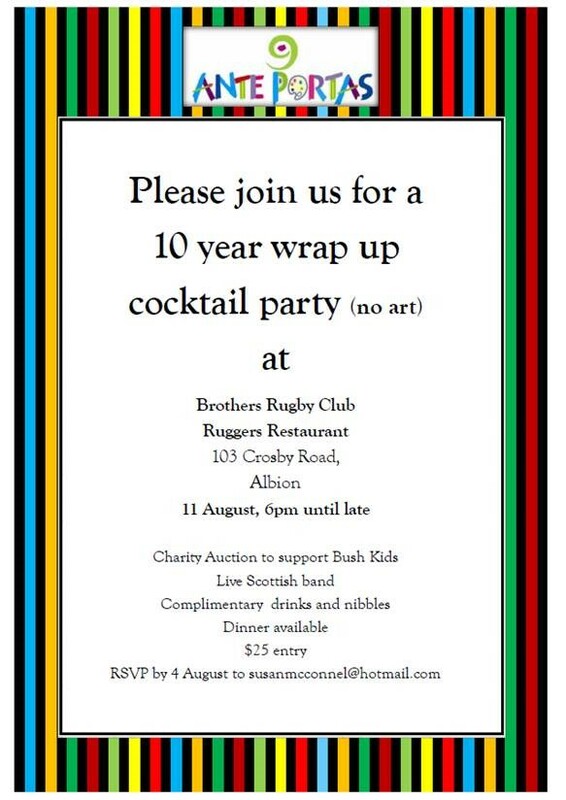 BUSHkids has been invited to join the 10 year wrap up cocktail party & charity auction provided by the 9 Ante Portas Committee to support and raise funds for BUSHkids. The party will host a live Scottish band, provide complimentary drinks and nibbles and dinner will also be available, the price of entry is $25. View the invitational flyer with all of the info by clicking here. Thank you 9 Ante Portas! When: 11 August, 6pm until late.